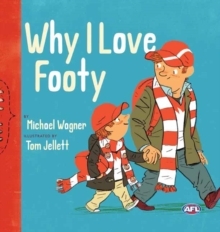 There are a bazillion reasons to love footy! These are just my biggest ones There's the big tackles and amazing marks. There's wearing the scarf and singing the song. But whether your team wins or loses, from the opening bounce to the final siren, the very best thing about footy is that we do it together.